Originally published under the title, "Will Israel Save America?" Without a sense of exceptionalism, a country of chosen people cannot prosper. Biblical Israel was America's inspiration. Its successor, the State of Israel, yet may be America's salvation, though usually the issue is put the other way around. America's founders, to be sure, saw in their "new nation, conceived in liberty" a new Israel, and Lincoln dubbed Americans an "almost chosen people." We long since put the notion of national election on the back shelf along with other memorabilia of the Revolution and Civil War. But Israel's founding and fight for survival strike a chord in our national character that reminds of us what we were and still should be. The notion of "national election," to be sure, has scant purchase in a world where every identity group claims the right to the equality of its own narrative. It evokes Europe's wars of national aggrandizement, foreign wars to make the world safe for democracy, and the marginalization of minorities. The notion that one nation's narrative might trump another's offends the leveling Zeitgeist: Identity politics excludes the distinction between good and evil, for every narrative is valid in its own terms. That was the nub of President Barack Obama's oft-quoted 2009 remark, "I believe in American exceptionalism, just as I suspect that the Brits believe in British exceptionalism and the Greeks believe in Greek exceptionalism." Identity politics excludes the distinction between good and evil, for every narrative is valid in its own terms. Projected into foreign policy, identity politics avers that all national narratives are equally valid: Iran's grievances against the West have as valid a claim on American attention as Israel's assertion of its right to exist. If Iran builds nuclear weapons, sponsors terrorists, hangs hundreds of citizens annually for thought crimes and sexual misconduct, kills American soldiers, and declares its intent to wipe Israel off the map, the fault lies with us: with the Western history of intervention into Iran's politics. If America accommodates Iran's narrative, Iran will behave responsibly. As Obama told Jeffrey Goldberg, "What I'll say is that if you look at Iranian behavior, they are strategic, and they're not impulsive. They have a worldview, and they see their interests, and they respond to costs and benefits." There are only two nations in the world that are "chosen" in that their inhabitants became citizens by choice, not happenstance. All men are created equal, but not all nations. There are two nations and only two nations in the world that are "chosen," because their inhabitants became citizens by choice rather than happenstance: the United States of America and the State of Israel. Every other nation in the world defines itself by common territory and heritage. America has sought to undo its election since the end of the Civil War, which exacted a terrible cost that even the victors shuddered to pay a second time. One cost of the existential fear that certainties about human freedom and divine election engendered in the American national psyche was the condemnation of black Americans to a century of nationally sanctioned apartheid. It is the reason why Confederate flags still fly over U.S. state capitols where streets and schools are named for the wicked slaveholder and arch-rebel Jefferson Davis. Israel forces us to either remember or finally repudiate who we are as Americans. The American Revolution in which our country was born is in some ways the strangest conflict in history: There is no other example of property-owning people who were free to publish their thoughts and practice their religion taking up arms against the world's most powerful empire. Men have risked everything to rise up against oppression in any number of countries, but the British Empire never threatened the property or freedom of America's founders. The American Revolution is almost as improbable as the founding of the State of Israel. Both demanded an inspired loyalty to a higher principle. The American Revolution and the founding of modern Israel both demanded inspired loyalty to a higher principle. 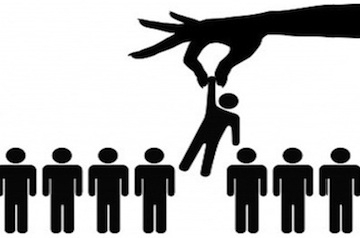 In the popular mind, divine election simply means divine favoritism: For some inexplicable reason, God likes you better than the next fellow, or likes your tribe better than the next tribe. That in fact is how election was sold to the nascent Christian nations of early medieval Europe. In the 6th century C.E., St. Gregory of Tours told the Merovingian Dynasty that it could be a new House of David and the Franks a new Israel. St. Isidore of Seville persuaded the Visigoth rulers of Spain of the same thing a century later. Saints Gregory and Isidore were the Bialystock and Bloom of the Low Middle Ages, the producers of the Christian pageant who sold every investor 100 percent of the show. Each European nation in turn declared itself to be Chosen from all other nations, until the Germans transmuted "Chosen People" into "Master Race." The biblical concept of election was different: It is not only that God chose Israel, but also that Israel chose God. An often-cited rabbinic commentary portrays God offering the Torah to all the nations of the world before Israel accepted it. "Election" demarcates the difference between the passive subjects of a monarch and the free citizens of a republic. Men become free by taking responsibility for their own destiny, by choosing between good and evil. Israel was the first manifestation of freedom in human affairs. The ancient Greeks saw mortals as playthings of the gods, who in turn stood under the grim and unforgiving rule of Fate, who one day would end the rule of the Olympians just as they had brought down the rule of Chronos. Human destiny was not free but tragic. And so it is for all the peoples who define themselves by the happenstance of language and geography: They are what history made them, not what they chose to be. is not politics as the pursuit of power, or the defense of interests, or the preservation of class and caste. ... Moses does not tell the people that they are great. ... Instead he summons the people to humility and responsibility. We are the nation, he says in effect, that has been chosen by G‑d for a great experiment. Can we create a society that is not Egypt, not empire, not divided into rulers and ruled? As Harvard historian Eric Nelson shows in his 2010 book The Hebrew Republic, the English revolutionaries of the 17th century returned to the biblical concept of election as an alternative to the catastrophic failure of the European political model. The Religious Wars of the 16th and 17th century contested the claims of kings by supposed divine right and nations by supposed divine election. In the standard account, the republican challenge to monarchy came from secular philosophers like Spinoza and Hobbes. This is misleading: As Nelson shows, the English republicans who sowed the seeds of the American founding drew their ideas from biblical as well as rabbinic sources. John Milton proposed an English Republic in 1649 on the strength of the Midrash Rabbah on Deuteronomy 17:14, which likens kings to idols and condemns as idolaters those who put their trust in princes. 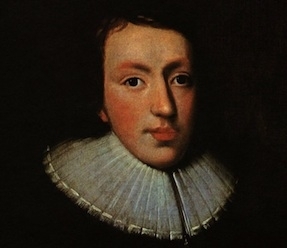 John Milton and other English republicans who sowed the seeds of the American founding drew their ideas from biblical and rabbinic sources. Milton, Algernon Sidney, James Harrington, and other English revolutionaries made a biblical case against monarchy that Thomas Paine later cribbed in his 1776 pamphlet "Common Sense." Paine rehearsed the exchange between Samuel and the people over the appointment of a king and concluded, "These portions of scripture are direct and positive. They admit of no equivocal construction. That the Almighty hath here entered his protest against monarchical government is true, or the scripture is false." Paine was an atheist, but he cited Milton's biblical argument against monarchy because it resonated strongly in the generation that made the Revolution. The Thirty Years' War had left the old German Empire divided into 36 major and innumerable minor political units, each of whose citizens was obligated to practice the religion of its prince. Political fealty and religious faith were inseparable in the European model, and the notion of religious freedom seemed antithetical to the foundation of monarchy itself. The standard account credits skeptics like Voltaire for the eventual triumph of toleration. Again, Nelson and other scholars show that American religious freedom had a religious foundation. When God himself was king over Israel, religious and political law were one and the same, the radical Protestants argued. As soon as a human sovereign ruled instead of God, the duties of his subjects were civil rather than religious, and a mortal king had no right to dictate religion to his subjects. This biblical vision of a free people assembled by choice that chooses God rather than a human monarch as its sovereign makes sense of the now-unimaginable courage of the American revolutionaries. They risked their lives, property, and social status because of their profound belief that the European political model was so prone to failure that an entirely different kind of polity was worth the risk of their lives and property. After the Napoleonic Wars and the two World Wars of the 20th century, it is hard to fault their judgment. What would the world be today if the United States were not there to sort out the ghastly mess that the Europeans made? When Abraham Lincoln spoke of a "new nation conceived in liberty" at the Gettysburg battlefield in 1863, he quoted the father of English Protestantism, John Wycliffe, who introduced his Bible translation with these words: "This Bible is for the government of the people, for the people and by the people." Abraham Lincoln famously called America an "almost chosen people." The Union Army marched to battle singing Julia Ward Howe's paraphrase of Isaiah 63: "Who is this coming from Edom, from Bozrah, with his garments stained crimson? ... 'It is I, proclaiming victory, mighty to save.' Why are your garments red, like those of one treading the winepress? 'I have trodden the winepress alone ... I trampled them in my anger and trod them down in my wrath; their blood spattered my garments. ... It was for me the day of vengeance.' 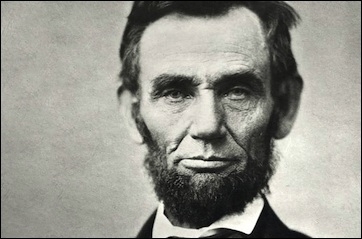 "
Lincoln's God held his people accountable for their transgressions, as he said in the Second Inaugural: "If we shall suppose that American slavery is one of those offenses which, in the providence of God, must needs come, but which, having continued through His appointed time, He now wills to remove, and that He gives to both North and South this terrible war as the woe due to those by whom the offense came, shall we discern therein any departure from those divine attributes which the believers in a living God always ascribe to Him?" America requited every drop of blood drawn by the lash with one drawn by the sword, and the North paid for the flaws in the founding along with the South. Lincoln famously called America an "almost chosen people." After the Civil War, Americans anticipated Tevye's plea, "God of mercy, choose another people." As Louis Menand explains in his 2001 book The Metaphysical Club, the unspeakable cost of the Civil War—a tenth of northern men of military age, and three-tenths of southerners—turned Americans away from this vision of election. The New England elite, in Menand's account, marched to war as Puritans and returned as pragmatists. For the century between Lee's surrender at Appomattox and the Civil Rights Act of 1965, pragmatic Americans turned our backs on black freedmen. We let the plantation class of the South return to power and fostered the self-consoling myth of southern gallantry in a Lost Cause. We crafted a popular culture that coddled the sensibilities of the defeated South, from D.W. Griffith's 1915 epic Birth of a Nation to Gone With the Wind. We eschewed the Puritan exceptionalism that sought to make America different from the rest of the world and instead sought to make the rest of the world like us. We turned away from the biblical God who held us accountable for our actions and envisioned in his place a remote God who withheld his wrath while we set about to make the world amenable to our own requirements. It is no accident that the man whose name became a byword for this inverted vision of America's role, and its extension to the rest of humanity through the League of Nations, Woodrow Wilson, was the son of a Southern Baptist clergyman who preached biblical apologetics for slavery. America forgot the inspiration it drew from the ancient Hebrews. Yet the living presence of the Jewish people, the same people who chose God as their sovereign at Mount Sinai, provides Americans with a chance to remember, or to turn away. If America was created in the Protestant vision of an imagined biblical republic, Israel is the republic of the people of the Bible. The restoration of the Jewish people to its ancient land and language, embodied in a modern democratic state, outstanding in it is accomplishments in every field of intellectual endeavor, demanded a readiness for sacrifice and boldness of purpose like that of no other nation on earth. Freedom depends on a radical commitment to the premise that a higher power than human caprice is the ultimate arbiter in civic life. As a result, Israel's impact on America's national consciousness has been profound. Evangelical Protestants, for example the Rev. Billy Graham, supported Israel from the outset. (Rev. Graham's deprecating remarks about American liberal Jews were made in context of praise for Israeli Jews.) Israel's victories in 1948 and especially 1967 galvanized evangelical Christians. It was not, as the old canard has it, that evangelical Christians thought war in the Middle East advanced the timetable for Armageddon. On the contrary, believing Christians saw the fulfillment of God's promise to the Jews as a sign of hope that God would also fulfill his promises to them. One does not have to view Israel's accomplishments through a theological mirror to understand what the Jewish State tells us about statecraft. Freedom does not arise from the mere presence of democratic institutions, as we learned in Iraq, or from bursts of popular enthusiasm, as we learned in the Arab Spring, or from participation in elections, as we learned when Hamas swept the 2006 West Bank elections. It depends on the radical commitment to the premise that a higher power than human caprice is the ultimate arbiter in civic life. It requires willingness to take existential risk. That is the Jewish principle in politics, the civil content of the Sinai covenant, and the basis for the American Founding. To the extent we have forgotten this, the people who stood at Mount Sinai still are there to remind us. If we reject this reminder, we will un-choose ourselves as Americans. David P. Goldman, Tablet Magazine's classical music critic, is the Spengler columnist for Asia Times Online, a fellow at the Middle East Forum and the London Institute for Policy Studies, and the author of How Civilizations Die (and Why Islam Is Dying, Too).